Parking is possible without reservation. Is there a shuttle service etc? There is a shuttle to JR Imabari Station.Reservations up to the previous day are required. It is only a small dog. Be sure to put it in a basket or bag when moving. 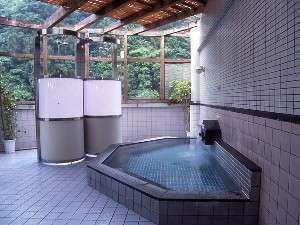 Stop by hot spring "Seseragi exchange building"
There is a stop-by hot bath facility "Seseragi exchange building." Copyright © 2018 kadoya bessou All Righs Reservide.